The APS – AVR 1P is a single phase voltage stabiliser regulator with a servo drive structure, microcontroller topology and heavy duty devices which regulate mains voltage for critical loads. The APS AVR 1P can be used for any single phase application and is designed for harsh or industrial environments where voltage is not stable. 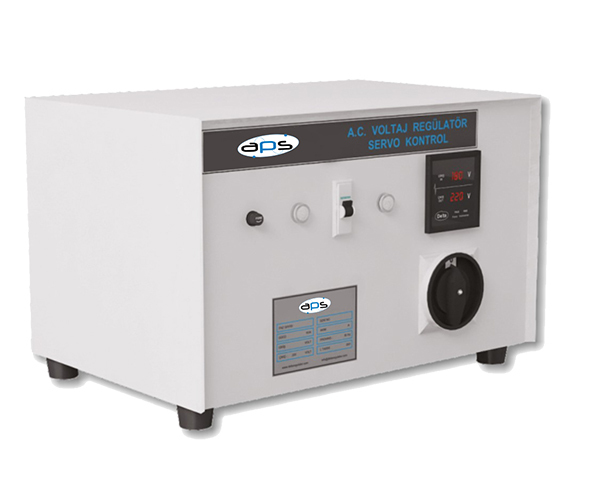 The APS-AVR 1P is capable of regulating wide voltage swings ensuring loads are not subjected to high or low voltage feed which can result in failure of equipment. The microprocessor monitors the output voltage of the stabiliser and controls the supply of voltage to the injection circuit. The servo mechanical circuit coupled to the buck boost transformer is energised in the appropriate polarity to restore the voltage to the correct level. 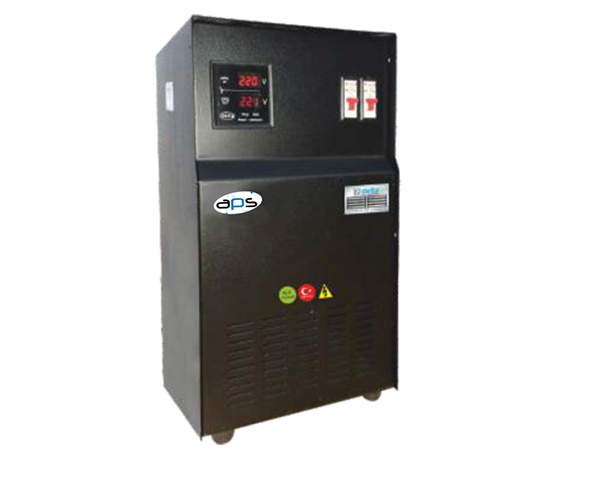 The method of stabilisation inherently compensates for any change in the output voltage. By adopting this methodology the APS-AVR 1P ensures that loads are not subjected to voltage variations which either are too low or too high, which result in equipment failure such as electronic control systems failing or burning out due to over voltage or motors and cooling systems stalling and failing due to very low voltages as a result of not enough torque. The APS-AVR 1P is designed to operate 24/7 continuously in harsh environments to protect and ensure the long life of the equipment. This technology incorporates simple-to-read displays to ensure clarity of raw power and regulated power from the AVR itself.